If you have been reading my blog for a while, then you know that I have suffered from chronic pain since 2012. I have been taking medication since then, and seeing a pain management doctor for about two years. I am always looking for new ideas for pain relief. 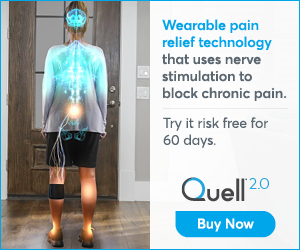 I saw an ad on Facebook for the Quell 2.0 for pain relief and was intrigued by this product. So, when they sent me one to try out and write about, I was very very happy to get it. 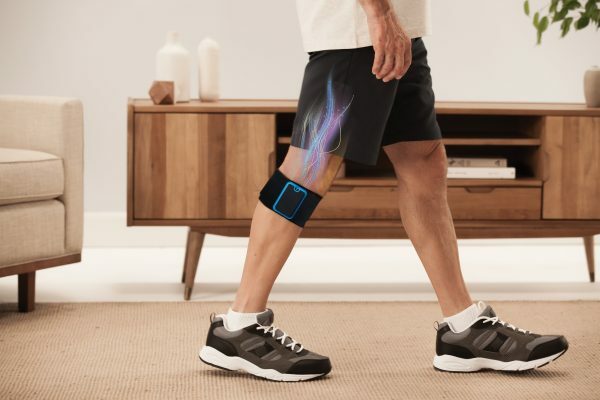 Quell is an electronic device that you wear on your leg, and has been approved by the FDA for 24/7 use. It is 100% drug free, and is the only OTC pain relief device FDA cleared for use while sleeping. In a published study, 81% of users reported improvement in their chronic pain* . 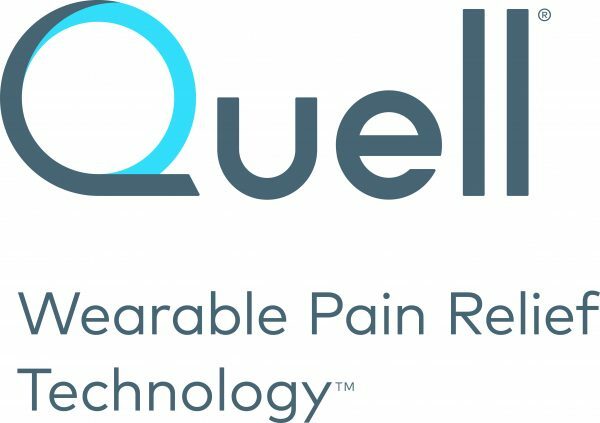 The Quell 2.0 device blocks chronic pain, and is designed for people with a wide range of chronic pain conditions. It comes with a 60 day money back guarantee, and, it is made in the USA. When it arrived, it was packaged in a very nice box that can be used to store it in when not in use. Inside the box, there is the device, a leg band, two electrodes, and a charger. There is also a brochure that explains exactly how to use the device. It is controlled by an APP for your smartphone. The APP was easy to download and set up. The package that the Quell 2.0 comes in. My device was already charged when it arrived, so I didn’t have to wait to start using it. I took all the parts out of the box, and read the instructions. 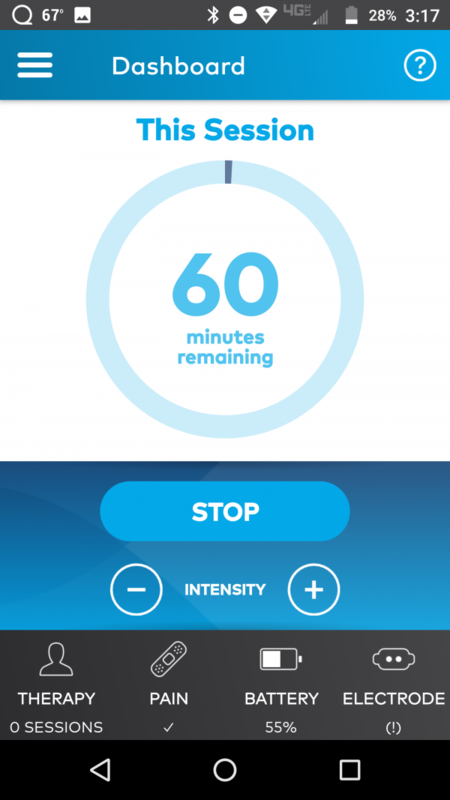 After putting the device inside the leg band, along with one of the electrodes, I downloaded the APP to my phone. The APP screen on my phone. I registered my device, then did a calibration. The device was ready to put on. Once it was on my leg securely, I started it with the APP. The recommended use of the Quell 2.0 for optimal pain relief is for three one hour sessions per day, separated by one hour in between. So, you can wear the device on your leg for 5 hours minimum, then take it off. 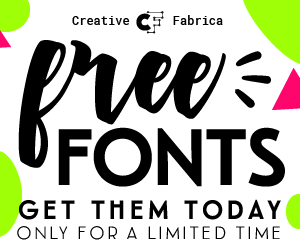 You can also use it 24 hours a day if you wish. 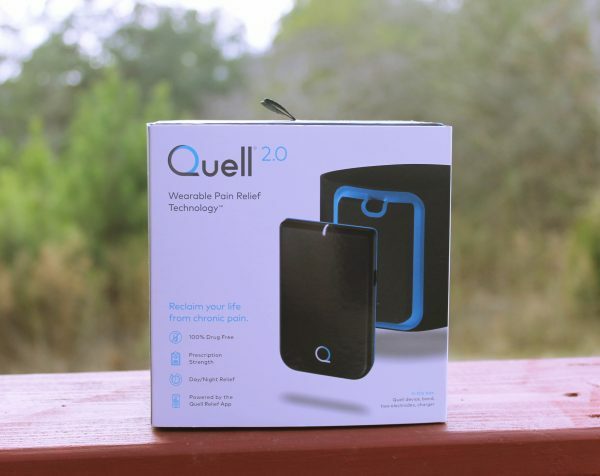 I am going to be trying the Quell 2.0 for pain relief for 30 days to see if it helps me with my chronic pain. At the end of 30 days, I will be writing my review to let you know how it worked for me. I can’t wait to see what it can do for me, and really hope that it works. In all the 13 years that Fabgrandpa and I traveled in our RV, we never got to Missouri. I don’t remember consciously thinking that I didn’t want to go there, because we had traveled through Missouri when we drove our hot shot delivery truck. It was a beautiful state that I could see out the windshield of our Dodge Ram pick up truck, with rolling hills and gorgeous scenery. I decided to make a list of what I would go see in Missouri if I could get back up there someday. I think Branson tops the list for anyone who is considering going to Missouri. With many music venues offering diverse music options, I would go to listing to live music and have a drink or two. I’d like to hear the Credence Clearwater Revivial tribute, and see the Herman’s Hermits show. HH was my heart throb group when I was 13. Swoon! I think I might like to try going on a zipline if I could do it. Wheeeeee! Of course I would have to go to St. Louis, and visit Gateway Arch Park. How could a person even think about going to Missouri and not seeing the Arch? If I got to St. Louis, I would also have to go visit my friend, Virginia, who lives there. Back in the 90’s, Fabgrandpa and watched a documentary about building the bridge over the Mississippi River from Alton, Illinois to West Alton, Missouri. I want to go there and take pictures of the bridge, and drive across it a couple of times. Besides watching it being built, the Clark Bridge is one of the coolest bridges I have ever seen in pictures. I want to see it in person. An old friend of ours was born and raised in Cape Girardeau. I have never been there, but I love the name of the town. It just oozes “southern United States”, even if Missouri is more mid-west than south. I would love to go and sit on the banks of the Mississippi River with a cane pole and try my luck catching a catfish. Fort D is a Civil War-era fort alongside the Mississippi River in Cape Girardeau that I would like to see. The Steele Crest Winery would be a great place to unwind, have a salad or sandwich, and a glass of wine. Those are my picks for a visit to the state of Missouri. What would you want to see if you went to Misouri? 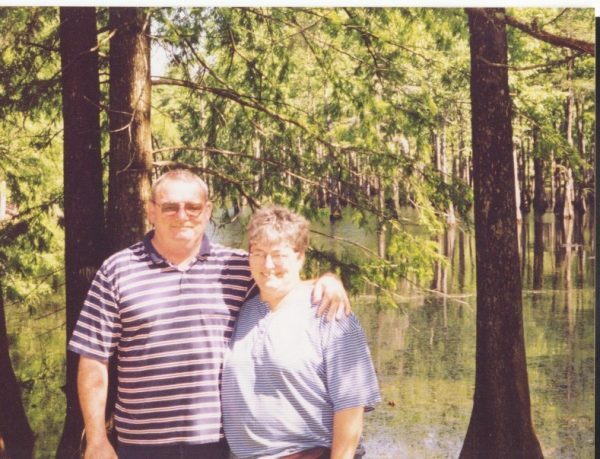 When Fabgrandpa and I took our spur of the moment trip to Mission, Texas years ago, we spent a couple of nights at Lake Bistineau State Park in Louisiana. It was a rainy couple of days spent in a pop-up camper. Between downpours of rain, we walked around the campground some. There was a huge lake where you could go fishing if you had a Louisiana fishing license. Lake Bistineau State Park, one of twenty-two state parks in Louisiana, is located on Lake Bistineau, a long and narrow waterway formed in 1800 as a result of extensive flooding created by a large log jam on the nearby Red River. It is located south of I-20 between Ruston and Shreveport. There are 71 campsites and 14 lodge/cabins. Hiking is a popular activity, with 10 miles of woodland trails. For those who want to see the park from the water, there is also a canoe trail. During our stay at Lake Bistineau State Park, we went into the closest town and found a seafood shop. We bought some shrimp and crawfish, and took them back to our pop-up. I made a pot of gumbo that was delicious but left an awful smell inside the camper for days! Nutria. Would you eat one of these? We hiked a trail out by the water, and saw some curious looking animals. These furry creatures looked sort of like beavers without the flat tail, but they had bright red teeth! They looked like they could chew your leg off if they got close enough to you. They turned out to be nutria, also called a coypu, butI had never heard of them before by any name. 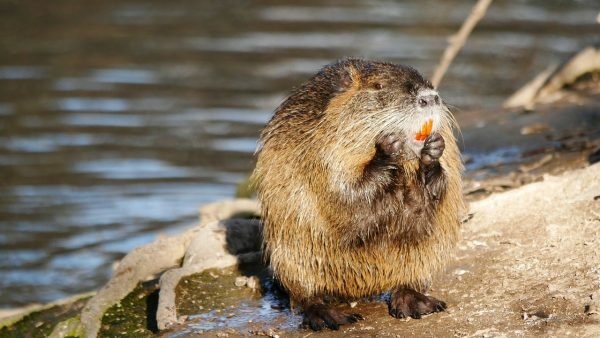 They say you can eat nutria, but I personally don’t think I could because they look too much like a rat. Ewwww! For more information about Lake Bistineau State Park in Louisiana see their website. Fencing has come such a long way. 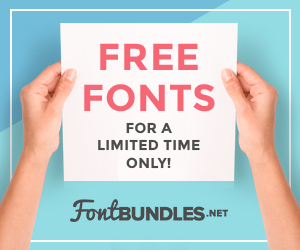 There are many materials, styles, colors, and purposes to fencing; you will need a couple of coffees to be able to make a decision on what to choose. When you own a home, fencing can serve so many purposes. One of the main purposes of a fence for a homeowner is safety. Whether you need a fence to keep your kids and dogs safe, or you need fencing to keep people and their dogs out, you have great choices. Fencing can also be decorative in the garden and serve as a visual boundary for your property. Here is a look at some of the great fencing options for homeowners. Having small children or grandchildren when owning a home is fun, but safety is of the utmost importance. Teaching kids about what is safe and where they need to be careful are usually not enough. Fencing in the front and back yard is a good way to keep children and pets safe. The fence gives kids a boundary by which to play inside of. This helps give parents peace of mind. Fencing can easily prevent unwanted visitors from entering your property. If someone sees an opportunity, they will go for it. Fencing can make someone think twice before soliciting at a home, stealing porch packages, or bothering the homeowner’s privacy. A troublemaker is usually lazy and will go for the house that has no fencing. There is some really great material to choose from in fencing. Composite, high-quality wood, steel, synthetic and vinyl fencing are available today. Colors vary with different materials. Wood can always stay as is, be stained, or painted any color. The other materials can come in browns, whites, blacks, and various other natural colors. You always want to go with the type of fencing that fits well with the style of your house. 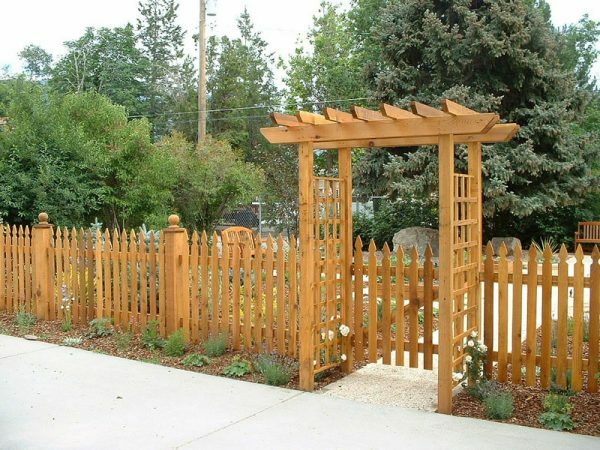 Trex fencing Utah is a great place to start looking at the possibilities for fencing. Finding fencing around houses similar to yours is a good place to start for ideas. Whenever you have a fence you have to have a gate so you can get in and out of the fenced area. Choosing a gate can be fun because you can create a look with different types of gates. You create a very high end look to your yard with a fancy looking gate. There are also hidden gates for some fences if you like to be discrete. Gates come with all types of locks so you do not need to worry about people you do not know just walking through your gate. Every neighborhood has a different policy on what is allowed for the height of a fence. The average height of a fence is about 6 feet. Most people do not tower over 6 feet, so this height is usually okay for most people. Some communities might require you to get approval for fence heights. You might live away from people and have fewer ordinances that will allow you to have a higher fence. You just have to check your local community laws and follow what is legal. The possibilities are endless to create an amazing front or backyard with fencing. Fencing can add so much to a garden. A fence that looks good can make people forget that it is a division for some reason. We always want to keep our neighbors happy. Fencing can be more of an architectural piece. When you think of a fence as part of the design of your house, you can impress yourself and others by creating something that looks great. Fencing usually adds value to your home for security and privacy reasons. The cost of a fence is moderate. You can also control how much you spend on fencing by size. In the hectic crowded world, you can come home to your own little private palace garden with the installation of a great looking fence. When traveling with your tiny home, you need to be able to park it when you’re not on the road. Always call campgrounds ahead of time to ensure you’ll be okay to park there based on your home’s stats. In addition to requesting the height, weight, and length of the home, they’ll also want to know if you’ll need a sewage drain and how much electrical amp your vehicle will need. It’s important for you to know all the numbers when it comes to your tiny home. You’ll need to know its weight, height, and length to better understand where you can travel with it and whether it’s allowed on certain roads and in campervan park grounds. By purchasing a ready-made home, the construction company that designed it can provide you with all the small details you need to know: keep a paper record in the front of the vehicle with the most relevant information. However, your home will weigh more after you’ve moved in all your belongings. Take it to any truck scale for an accurate weighing. The tongue weight of a mobile tiny home is also important to know. The tongue weight refers to the downward force that the trailer’s front pushes on the attached to the truck hitch. You can purchase a tongue scale for this number. “When you’re dealing with limited space, you’re forced to be creative about what you need and how you’ll store your needs,” says Bouclair’s Peter Goldberg, whose home goods ecommerce business sells storage benches, bins, and other storage solutions. “It helps to take a look at Pinterest boards and see how others are handling organization in tiny homes.” It can be difficult to come up with the best organization tips for small spaces, but it can be done. You should also consider investing in mobile storage to hold items that you don’t need a daily basis but would like to keep, like personal mementos. Not everywhere you want to live or go is tiny home friendly. Zoning codes vary from state to state, and place restrictions on home sizes—regardless of whether you’re building from scratch or on purchased land. 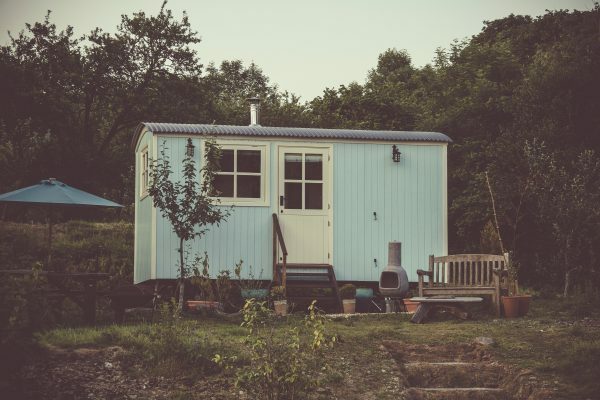 Before you start putting in the groundwork to build or buy your tiny home, you’ll want to make sure you won’t face any challenges in the future. It’s important to note that tiny homes on wheels are considered recreational vehicles (RVs), while tiny homes that aren’t mobile are simply homes—however, tiny home without wheels are considered accessory dwelling units. Both have different ordinances and zoning regulations to keep in mind. You’ll need to fill out an application for a variance at your local planning commission, which would allow you to build or own property outside of current building codes. If you aren’t construction-minded, buying an existing home or hiring a company to build a custom home are great options. There are plenty of tiny home builders that both sell and build custom homes. Knowing that your home was built by professionals can give you peace of mind and save laborious hours trying to learn and build it yourself. The cost of building a custom home can range anywhere between $50,000 to $100,000. While this is certainly on the higher end, it still saves you a significant amount of money on a standard home price tag. Ready-made tiny homes come in all shapes, sizes, and styles. Typically, ready-made homes can be purchased anywhere from $30,000 to upwards of $100,000 for highly-detailed and complex homes. For example, Modern Tiny Living’s Kokosing model comes equipped with smart siding, a steel roof, staircase with built in storage, custom cabinetry, a fold down dining table, and much more. This model can be purchased for $69,000, or low monthly payments around $550. RV navigation systems are much more comprehensive than traditional GPS devices. Tiny homes are longer, taller, and heavier than traditional cars, and therefore can’t navigate the road the way that other vehicles do. Without a navigation system designed for RVs, you could run into some serious challenges on the road. An RV GPS has a larger screen for traveling while navigating, tips of navigating around clearances, features that help you locate nearby campgrounds, warnings when weight restrictions are ahead. 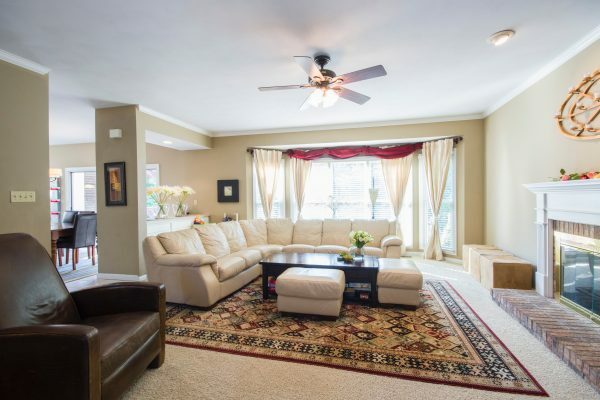 Trying to figure out how to decorate a long and narrow room in your house? If you do, then you know how hard it can be to decorate and live in it. You might have this “bowling alley” room that you would like to decorate, but with a long and narrow room, you always run the risk of creating a tunnel effect that makes it feel cramped and train like. With some visual and decorating tips, a room like this can be converted into a comfortable and welcoming space. If you are also looking to make the most of your long and narrow space and minimize its awkwardness, read on for some easy decorating tricks. Leave some furniture out in the open. Try to not push everything against the walls of the room. Let some furniture stay in the middle of the room. Contrary to popular belief, the room will not look choppy; instead, the room will feel cozy. Furniture set against walls and space in the middle give the room a narrower effect. To not make a room look boring and narrow, painting the walls is an inexpensive and easy trick. Some kind of color at the farthest wall becomes a focal point of the room. You can get creative with the paint, for example, you can use vertically textured wallpapers; faux stained glass windows, etc. They make for an elegant focal point. The best way to prevent the train compartment effect is to incorporate furniture with soft round edges. Round ottoman, ovular or circular side and coffee tables will be useful in counteracting all the straight lines and rectangular shapes. You should also make use of the corners of the room as an occupied edge will not pull attention to itself. As the room has a lot of lengths and not enough breadth to match, there arises a need to make use of the vertical space i.e. the height of the room. Tall pieces which draw the eye upwards can avoid the room from looking cramped. Tall bookshelves, armoires, long wall art arrangements can all be used to create a vertical illusion. The simplest way of using the height to create an illusion is by hanging drapes where the wall meets the ceiling. You can use vertically stripped wallpapers and floor to ceiling windows for this purpose too. How you make use of the available space is what makes the room look cozy and comfortable. You can divide the space into separate areas. Consider two different areas, for example, if it is a living room, divide it into a smaller seating area and a study or a comfortable dining nook. Decorate the areas accordingly to make the differentiation. If it is a bedroom, you can install the bed horizontally against the farther wall and use the front half as a study or a conversation nook, etc. You can use different colored rugs to differentiate between the areas. Oval rugs can be more effective in demarcating the areas. If you have a narrow room, you could use light patterned flooring and tiles. Using bold and dark patterned or colored tiles can make the already narrow space seem more compressed. If you use plain wooden flooring or plain white flooring, you could make it more colorful and interesting by the use of colorful rugs. A narrow room looks even more crowded if the ceiling of the room appears lower. It is essential to make the height of the room appear taller. You should always go for a light colored ceiling. Try to avoid ceiling textures and partial wall painting. If you opt for an elegant chandelier, try to have it fixed with the ceiling and not hanging too much. Plants help create a sense of warmth in a room. A narrow and long room does not have to look awkward and uninviting. 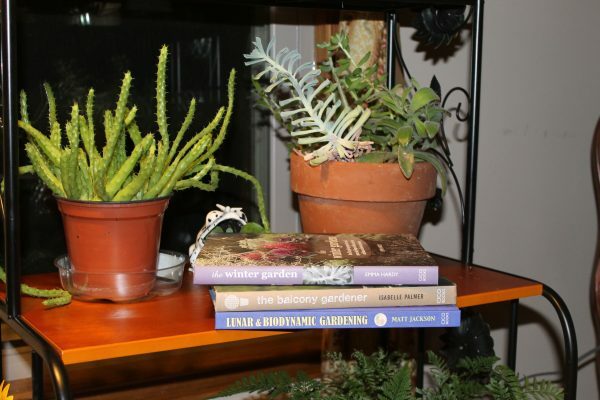 To make space look comfortable and lived in, you could consider adding some colorful plants to the room. Adding plants and vines gives the room a warm and cozy vibe. You can arrange the furniture such that you can place plants in the corners of the room, by the entrance, near the seating arrangements or by the study table. 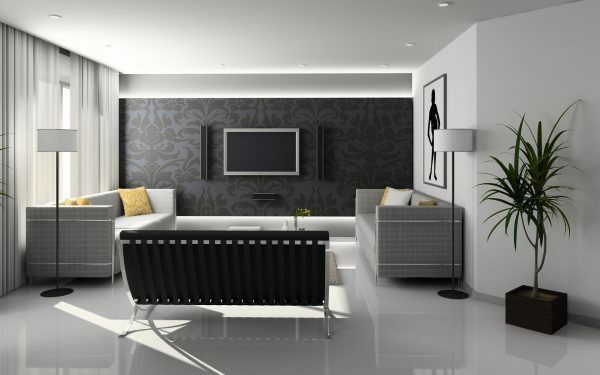 Real plants inside the house may cause watering, maintaining and cleaning hassles; thus a more logical option is using artificial plants in the place of real ones. Faux plants are now available in a variety of colors and plant types. They are easy to maintain and have a long life. You can use tall silk flower arrangements for the corners of the room. Some fake hydrangeas in appropriate colors, near the windows would give the required natural touch. You can use silk ferns near the doors of the room and faux floral arrangements using flowers like silk tulips for the coffee table or the centerpiece. You can use ceiling lights if you want to show the vertical space of the room. The colors reflected from the light sources can soften the edges of the long rectangular rooms. Tall lamps in the corners of the long room give a soft lighting effect to the room. Also in a long, narrow room you should keep the walking space very well-lit from above so that you do not trip on the furniture. It’s not necessary to have furniture and accessories matching the shape of the room. You can add a lot of drama to your room by varying the furniture sizes in the room. A bright colored recliner or a colorful wall can be made as focus points of the room. When you decorate a long and narrow room using a large furniture item like an L-shaped sofa or a king-sized huge bed or a big circular table makes the room look very trendy. As the space is very limited any extra items make the room feel disorganized and shabby. Having too many items in the room also create a tripping hazard. Try to use items which are multipurpose like an ottoman with storage. To make your narrow space look fascinating to try to use light-colored paint on the walls and the above-mentioned tips. The recent extremely cold weather due to the Polar Vortex sending below zero temperatures into the United States seemed to have caught many people off guard. 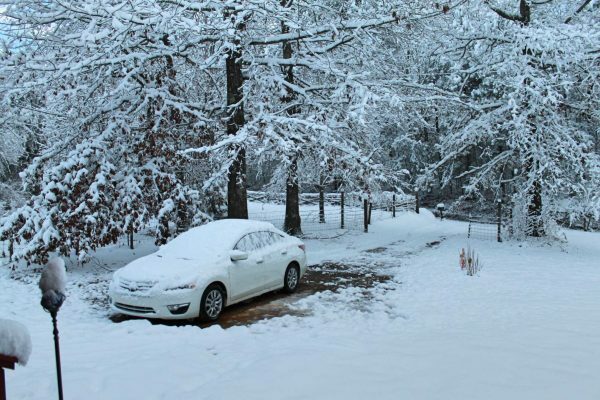 Here are seven simple ways to prepare your vehicle for cold weather when you travel. Check your spare. Take your spare tire to a tire repair place and have them check to make sure it is holding air, and is full of air. Make sure you have a jack and a lug wrench in your car. Nothing is worse than having a flat tire and not having a jack in your car. This simple task can save you lots of grief later. Keep a bag of sand or kitty litter in your trunk. The extra weight can give you added traction on slick roads. And, if you get stuck, you can put some sand or little under your tires to help get moving again. Put a blanket, an extra pair of gloves, and a warm hat on your back seat. If you get stranded on the road, these few items will help you keep warm while you wait to be rescued. Make a “survival kit” of snacks to keep in the car. Nuts, dried fruits, peanut butter crackers, and a couple bottles of water can be life saving if you get lost or stuck on an icy road. Get a sturdy ice scraper and a snow brush to keep in your car. Keeping your windshield clear of ice, and brushing snow off of your car makes driving safer for you and others on the road. Emergency flares or reflectors will help your car be seen by other drivers, and help prevent a collision if your car stalls on the road. Taking a few minutes to prepare your car for the worst during cold weather can help make sure you survive in the cold winter months. Many years ago, Fabgrandpa and I were hot shot delivery drivers, delivering frozen food in a Dodge Ram pick-up truck, using insulated blankets and dry ice to keep the foods from thawing out. We also had a pop-up camper, that we took to the closest state park, and camped there while waiting for the dispatcher to call us. We went to work from the campground, and returned there after the delivery was done. Fabgrandpa at Bentsen-Rio Grande Valley State Park in Mission, Texas. One day we had a particularly frustrating delivery. When the dispatcher called us to do another delivery on the same day, I was just plain fed up with the job, and told the guy that we quit. It was a spur of the moment thing, but it immediately meant that neither my husband nor I had a job! When I told Fabgrandpa what I had done, he asked me what I wanted to do. I told him I wanted to go on a road trip to south Texas, and go shopping across the border in Mexico. I wanted to get pottery and tiled mirrors, and other pretty things, and bring them home to Georgia and sell them. And so it was that we loaded up the pop-up, hitched it to the back of our Dodge pick up truck, and headed to Mission, Texas. It took us three days to get there. We went down to I-10, through southern Mississippi, Louisiana, and Texas. We turned south off of I-10 at Schulenburg, taking Alt 77 through Cuero to 72, which took us to Three Rivers. From there it was a straight shot all the way to McAllen. In McAllen, we followed US 83 to Mission, were we had a reservation at Bentsen-Rio Grand Valley State Park to camp for a week. 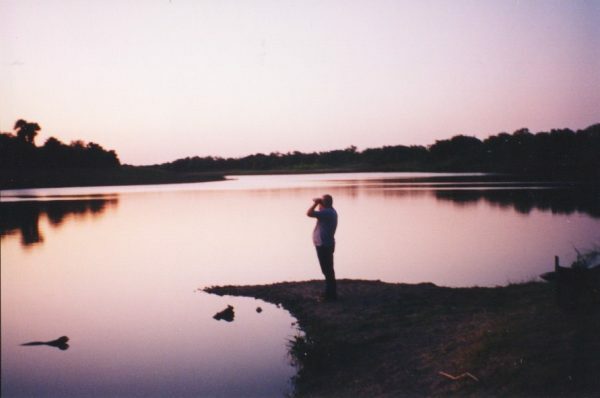 Back in 1997, when we took our spur of the moment road trip to Mission, you could still camp at Bentsen-Rio Grande Valley State Park in an RV. The campground closed shortly after our stay there, and is only primitive walk in campsites now. While we were camping there, we saw, and heard, flocks of chachalacas. Those birds were very loud, and woke us up every morning. Green jays are also found there. There were also raccoons, armadillos, and more. It was a little un-nerving to hear these animals scurrying around our camper, and sometimes fighting under our bed at night. We did go across the border to Mexico a couple of times to go shopping for pottery, chimineas, tinware, tiled mirrors, and Mexican blankets. We got some really good prices on the things we bought. Even with having to pay a customs fee, we were still able to make a profit on the things we bought. The funny thing is, when we got back home, I called the dispatcher and told him we were ready to come back to work, and he gave us delivery the very next day!